Alcuin of York has been mentioned before, primarily in his relationship to intellectual puzzles. This does a disservice to a man who was revered as a scholar and saint, and is one of the primary movers behind the Carolingian Renascence. We know little about the early life of Alcuin (c.735-804). He came to the cathedral school of York under Archbishop Ecgbert (died 766), who took a great interest in Alcuin's schooling. It was here that Alcuin blossomed into a scholar of liberal studies, helping to develop the curriculum of the York cathedral school to embrace the Trivium (Grammar, Rhetoric, and Logic) and Quadrivium (Arithmetic, Music, Geometry, and Astronomy). Alcuin himself wrote a textbook on the former, leaving the latter to his student, our old friend Hrabanus Maurus (previously mentioned here). Sometime after Ecgbert died, Alcuin became the head of the school. * In 781, on his way home from a trip to Rome to see the pope (his mission was to petition the pope to confirm York as an archbishopric, the second in England after Canterbury), he met, for the second time, Charlemagne, who convinced him to stay and help promote learning in Charlemagne's kingdom. Alcuin settled in the palace school at Aachen in 782, working alongside several of the intellectual lights of the 8th century, such as Peter of Pisa, a grammarian brought there to teach Latin, and Paulinus of Aquileia, a theologian and grammarian who became a good friend of Alcuin's, maintaining a relationship through letters even after Paulinus left the court to take up the position of Patriarch of Aquileia. "Faith is a free act of the will, not a forced act. We must appeal to the conscience, not compel it by violence. You can force people to be baptized, but you cannot force them to believe." Charlemagne eventually abolished the death penalty for paganism. Alcuin died on the 19th of May 804. *This school still exists today as St. Peter's. Today (13 May) is the feast day of John the Silent (452-558), who took living a private life to an extraordinary degree. When he was still a young man, his parents died, leaving him fairly well-off. He built a monastery in Nicopolis, Armenia (his home town) and moved in with several others, quickly gaining a sterling reputation. After nine years, tired of the responsibilities of leadership and wishing to live a more contemplative life, he moved to Jerusalem to live in solitude. While there, he had a vision during prayer one night, telling him to follow a light. The light in his vision indicated Laura, a monastery of 150 monks run by St. Sabas. John went to Laura* and requested the opportunity to live a life of solitary prayer. We are told that John fasted and prayed during the week, leaving his cell only for mass on Saturday and Sunday. When he had been at Laura for four years (he was at this time about 42), St. Sabas brought the worthy John to the new Patriarch of Jerusalem, Elias, to have him ordained as a priest. John, a man of few words, traveled to Calvary for the ordination; it was there that he spoke up, asking to be able to speak privately with Elias. John requested of Elias a promise of confidentiality, and then told him the truth: John was already ordained, and a bishop! ** He had been made bishop back in Nicopolis, but the rigors of leadership and his awareness of his own shortcomings prompted him to flee to a quieter life; hence the trip to Jerusalem. Patriarch Elias told St. Sabas that he chose not to ordain John, on account of some things he had been told. St. Sabas was concerned that he had been mistaken in John, and that John was guilty of some great crime. We are told, however, that St. Sabas learned the truth through prayer. He confronted John with this revelation, upset that John had withheld the truth from him. John wanted to leave Laura, but St. Sabas convinced him to tay, promising that the secret would go no further. John resumed his silent life of prayer. In his early 50s, John had reason to leave Laura and go into the wilderness, but returned six years later after St. Sabas convinced him to return. He spent the next 40 years keeping to himself in his cell, speaking only to the monk who brought him his meals. One day, he was visited by a young man, Cyril of Scythopolis, seeking advice. He advised Cyril to join the Laura. Cyril wrote biographies of seven monks who became saints. 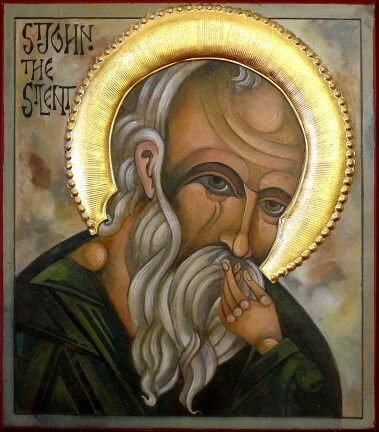 From him we learned the story of John the Silent, who so desired a life of contemplation and solitary prayer that he fled the office of bishop and was almost ordained twice. He died on 13 May 558, aged 104. **I apologize for "burying the lead" as they say in journalism; I should have told you this part back in the second paragraph, but saved it for a punchline. St. Anthony the Great is credited with being the first monk in that he did not just live an ascetic life, but also he removed himself from civilization and went into the desert. The eremitical (hermit) life appealed to many in the years to follow, but not everyone had the self-discipline to lead that kind of life. This is where Pachomius was needed. 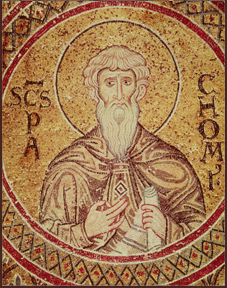 St. Pachomius (c.292-348) was born a pagan. Drafted into military service by the Roman army, he noticed how Christians brought food to the conscripts. When he left the army a few years later, he investigated Christianity and converted in 314. After seven years as a hermit, he traveled to where St. Anthony was living, modeling his life after Anthony's solitary example. Then, however, a vision told him to create a community where others could join him. Hermits had clustered together in the same area before, but Pachomius created an organized structure for monks who actually lived and worked together, holding their possessions in common and following a similar schedule. This style of monastic tradition is called cenobitic, a Latin word from the Greek words for "common" [κοινός] and "life" [βίος]. He created the first community shortly after this vision; the first person to join him was his brother John. Many more were to follow. Pachomius built nine monasteries, but the trend caught on: by the time of his death there were an estimated 3000 communities in Egypt. Pachomius was referred to as "Abba," [father], from which the terms "abbot" and "abbey" come. He also wrote the Rule of Pachomius, creating guidelines for communities. It is written in the Coptic (Egyptian) language. Pachomius never was ordained as a priest. St. Athanasius visited him and wanted to ordain him in 333—Pachomius, like Athanasius, had proven to be a vocal opponent of Arianism—but Pachomius did not want ordination. He died on 9 May 348, presumably from plague. Anthemius of Tralles (c.474-c.557) was mentioned as one of the builders (along with Isidore of Miletus) of the new Hagia Sophia. We know much more about him than that, however, both about his talents...and his annoying pranks. We have an anecdote about how he avenged himself on his neighbor, Zenon, by fashioning leather tubes that he ran to the joists of an upper room of Zenon's house, where Zeno used to entertain guests. We are told that Anthemius would, by running steam through the tube, create loud noises and vibration in he room, frightening the guests into thinking there was an earthquake. Also, he would flash incredibly bright light into Zenon's eyes with a concave mirror. Possible? Well, he did write a treatise "On burning-glasses"; we don't have the treatise anymore, but enough of it existed in 1777 to be included in a work called Concerning wondrous machines by an L. Dupuy. He apparently studied and wrote on properties of mirrors and lenses, and supposedly described a camera obscura. He explained how to construct an ellipse using string, and he wrote a book on conic sections. This intellectual excellence ran in the family. His father, Stephanus of Tralles, was a physician with five sons. Two of them followed in their father's footsteps, Dioscorus staying in Tralles and Alexander finding fame in Rome. The rest pursued different professions. Metrodorus became a grammarian in Constantinople; Olympius became an expert in Roman jurisprudence. Anthemius' knowledge of conic sections and parabolas would have supported both his work on optics (known to the later "Second Ptolemy" Alhazen ibn al-Haytham) and his architectural aspirations when designing the dome of the new Hagia Sophia. He was able to create what is called a "pendentive": a design that allows a dome to be built onto a square base. His success with Hagia Sophia led to him being also chosen—probably by Emperor Justinian—to design flood defenses at Dara in northern Mesopotamia. The greatest church in the eastern Mediterranean was the Hagia Sophia [Greek Ἁγία Σοφία - "Holy Wisdom"] in Constantinople. The first church on the site was dedicated in 360 CE, and has served as an Eastern Orthodox Cathedral, as a Roman Catholic Cathedral (from 1204, when the Fourth Crusade captured Constantinople, until 1261), as a mosque (from 1453 until 1931), and as a museum (from 1931 until the present day). It was the largest church in the world until 1520, when the Seville Cathedral was built. When the original church was burned down during rioting,* Emperor Justinian I ordered construction of the current building in the 530s. He employed the talents of two men—we would call them "architects," although contemporary documents refer to them as "mechanics"—named Isidore of Miletus and Anthemius of Tralles. He insisted that they make a flame-proof building, so they designed it with stone and brick-and-mortar, bound in some places by iron, but with no wood anywhere. There are other dangers than fire, however. 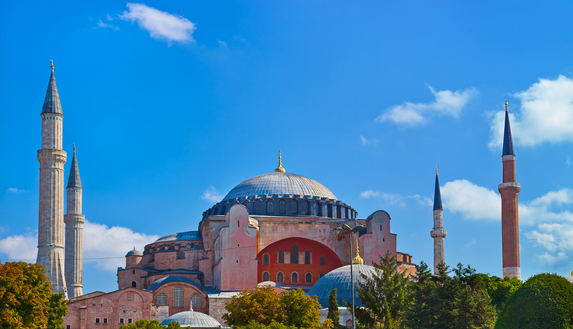 On 7 May 558, the dome of the Hagia Sophia collapsed during an earthquake. It was rebuilt by Isidore the Younger, a nephew of Isidore of Miletus. This time, the design included 40 ribs as support, and a dome that was six meters higher. Unfortunately for the dome, the walls were constructed of less brick and more mortar, and built too quickly—they should have let the mortar cure longer in each layer before adding the next—and were consequently not as strong. The new dome also experienced collapses. The current dome contains a north section of eight ribs and a south section of six ribs from the original. "Oldest continuously inhabited city in the world." It was founded in the 3rd millennium BCE and (according to the Unesco World Heritage site) "has some 125 monuments from different periods in its history." When Imad al-Din Zengi, the Prince of Mosul, laid siege to Damascus in 1138, Damascus resisted by allying with the Crusader Kingdom of Jerusalem (ruled at the time by Fulk V of Anjou [1089-1143]). The admirably tolerant Seljuq-Christian alliance turned back their common enemy. It was this conflict that prompted Raymond of Poitiers, Prince of Antioch, to send Bishop Hugh of Jabala to Pope Eugene III for aid. It was Hugh at the court of Pope Eugene whose mention of a Nestorian priest-king in the East started the legend of Prester John. Saladin, the noble foe of Richard Lionheart, founded the Ayyubid dynasty, Muslim Kurds who ruled an independent Damascus. Saladin allowed pilgrimages to Jerusalem, with the understanding that the Crusaders would return home after fulfilling their Crusading vows. 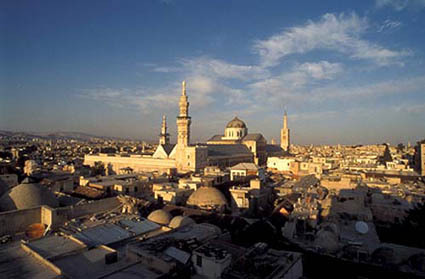 After Saladin's death in 1193, Damascus was ruled sometimes by Ayyubids from Damascus, sometimes by Ayyubids from Cairo. By this time, Damascus was one of the western endpoints of the Silk Road. Damascus itself was known for crafts and cloth, and the cloth called damask was a specialty. Independent Ayyubid rule ended in 1260 with a Mongol Invasion; when the Mongols left, Damascus was reduced to being a provincial capital of the Mamluk Empire of Egypt. A few generations later, the Black Death killed up to 50% of the population. King of Germany, while working with his nets. Richard Wagner's opera, Lohengrin (1850), portrayed a king who was trying to gain the support of the Duchy of Brabant against the Hungarian Magyars. For Wagner, this king was a symbol of a unified Germany. His name in the opera was Heinrich der Vogler, but we know him better as Henry the Fowler. 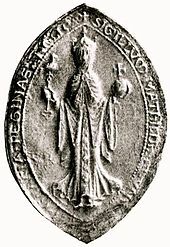 Henry (876-936) was the son of King Otto the Illustrious, Duke of Saxony. When his father died in 912, Henry proved to be an able ruler. In his lifetime, the empire assembled by Charlemagne was now divided into seven different kingdoms, none of them wanting to be ruled by the others. Henry strengthened the standing of Saxony and defended it able against territorial incursions from neighboring states, such as Franconia to the south. Conrad I, Duke of Franconia, was Henry's rival for years over rights to Thuringia. When Conrad died in December 918, however, he told his nobles that Henry of Saxony was the right man to follow in a united Germany. At a meeting of nobles in 918, it was agreed that they would seek out the Duke of Saxony and ask him to lead. A delegation was sent to offer Henry their loyalty. Henry, like many aristocrats of the Middle Ages, enjoyed hunting of all kinds. Henry was supposedly known for being an avid fan of hunting birds. He is supposed to have been hunting high up in the Hartz mountains and working at his nets when they found him, as portrayed in the picture above; hence the name Henry the Fowler. No sooner was he enthroned than the Germans were invaded by the Magyars. In the process of countering it, Henry's forces took as hostage the son of the Magyar king, which paused the wars for many years. When the Magyar king asked for the return of his son, Henry offered him terms that were too good to pass up: Henry wanted a nine-year truce, during which he would pay 5000 gold pieces per year for there to be no threats from Hungary. The Magyar king agreed. Henry spent the next nine years building up and drilling his army to make them a fearsome fighting force. He also built fortresses along his borders. When the Magyars tried to invade during the tenth year since the truce, Henry's forces defeated them. The German army also easily defeated an invasion from the Danes. When Henry died in 936, he left behind him a peaceful Germany and a son, Otto, who claimed Charlemagne's old title of emperor, ruling over a united federation of German duchies. 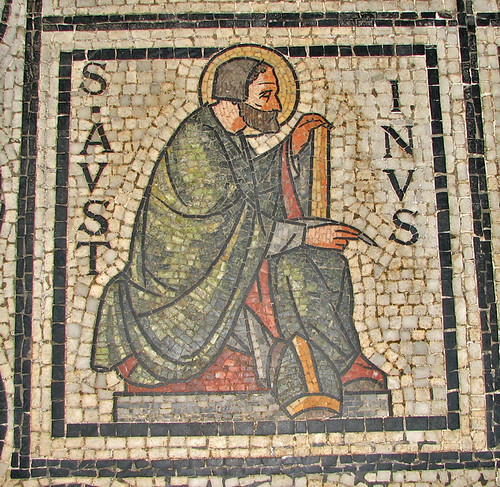 One Latin form of Augustine was "Austinus"
Augustine of Hippo (354-430), pious man and brilliant theologian, has been mentioned several times before; his influence extended far beyond the 5th century. His writings influenced the founding and running of several orders, including the Dominicans. One such order was named for the man himself, and called the Augustinians, or Austin Friars. Augustine did not, as St. Benedict did, set out to write a formal set of rules for an order. He did, however, leave a great deal of his written work behind. Three of these writings, taken together, are considered the Rule of St. Augustine. The first is referred to as Letter 211, written in 423 to the nuns at Hippo (known to the modern world as Annaba, Algeria). It does not offer a list of specific actions to perform in their daily life; it was a more general letter about proper behavior during church services, embracing poverty and obedience, and the duties of the superior of the community. As the Bishop of Hippo, Augustine's letter was taken very seriously and read weekly to the nuns to remind them of their obligations. The other two documents are his Sermons 355 and 356, dealing with poverty. They explain how nuns hand all their personal possessions to the monastery before taking their vows. The monastery will provide their needs, and anything they may earn or be given through their efforts in the future is to be considered the property of the monastery. These Sermons and Letters were available to everyone over the centuries after Augustine. Benedict is said to have read and re-read Letter 211. It was not until 1256, however, that an actual Order of Saint Augustine was founded, when Pope Alexander IV issued a papal bull doing so. 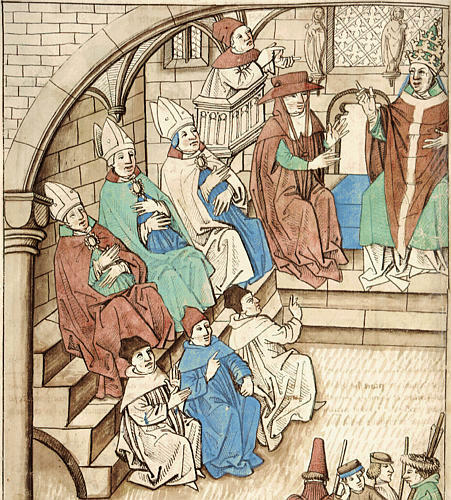 The Council of Constance in 1414 has been mentioned before—or, at least, its outcomes. It was at this, the 16th ecumenical council recognized by the Roman Catholic Church, that Jan Hus and John Wycliffe were both condemned as heretics. There was more to the Council than that, however. It also dealt with the Three Popes Controversy, forcing the ouster of antipopes John XXIII, Gregory XII, and Benedict XIII; they elected Pope Martin V.
One of the largest debates at the Council took place over the subject of how to deal with pagans. A few years earlier, the Teutonic Knights had fought against Poland and Lithuania; an uneasy and oft-broken peace existed between the players in that conflict, turning into another war in 1414. The Council of Constance was chosen as the place to decide the matter between the groups. The debate blossomed into a larger issue than where the borders should be: did the Teutonic Knights have a right to start the war in 1411? They had done so as a Crusade against the pagan inhabitants of those regions, intending to force them to convert to Christianity. A doctor of canon law named Paulus Vladimir delivered an essay called Tractatus de potestate papa et imperatoris respect infidelium [Treatise on the power of the pope and emperor respecting infidels], in which he argued that a forced conversion was a violation of the right of free will granted by God. Free will was necessary for a true conversion. He claimed the Teutonic Knights could only wage a war if the enemy had done something to violate natural rights of Christians. The opposing view said that the pope had every right to condemn pagans simply for being non-Christians. The loudest proponent of this view, John of Falkenburg, was condemned and imprisoned for his views, and for calling the Polish king a "mad dog." The Council could not come to a conclusion, however. They established a diocese in Poland so that Christianity could be introduced more peacefully. The Polish-Teutonic wars resumed, on and off, for another century. 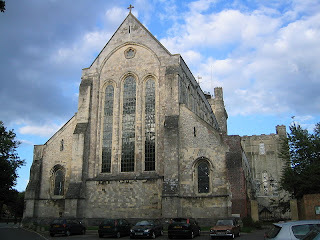 Romsey Abbey was, for a brief time, the home of Matilda of Scotland and her sister Mary. It is called "Romsey" because it was originally known as "Rum's Eg"—that is, the "area of Rum surrounded by marshes." It was founded by a granddaughter of Alfred the Great, Elflæda, in 907. It went through some different stages, being refounded in 960 by King Edgar (943-975) as a Benedictine house under the control of the very pious (St.) Ethelflæda. The community thrived until it was sacked by Vikings in 993 and destroyed by fire. Rebuilt about 1000, it became a place to send the children of aristocrats for education (hence Matilda's time there). A much larger building was erected in the original foundations around 1130 by Bishop Henry of Blois. That building still stands today. Between then and now, however, the Black Death wiped out all but 19 nuns of the religious community. The abbey never regained prominence, finally being suppressed (like so many others) in 1539 by Henry VIII (whose radical changes to the religious house of England was also mentioned here). The nuns were dispersed. Even though the religious community was dissolved, however, the Abbey retained prominence in the town. Its church was being used as a parish church (St. Lawrence) by the larger community—an extra aisle had been added to the main structure so that townspeople had a place to attend services—and so Romsey did not suffer like many others: being left to fall into ruins or having its stone re-used in other building projects. Oddly, however, a few years later the townspeople purchased the building from the Crown and dismantled the extra aisle used as St. Lawrence, leaving the original Abbey church in which to worship. In 1643, the English Civil War resulted in internal damage when soldiers tore up the seats and destroyed the organ. Many windows were damaged over the years and not replaced. The 19th century saw an attempt to restore the neglected structure, and now it has a thriving parish community. When King William II died mysteriously in 1100, his brother immediately ascended the throne. Needing a queen, he turned to Matilda of Scotland, then about 20 years old. There was one potential problem with this plan, however: Matilda was a nun. Matilda was the daughter of Queen (later Saint) Margaret and Malcolm Canmore, King of Scotland (and the model for the Malcolm in Shakespeare's MacBeth). Her mother raised her with daily religious instruction and a ruthless attention to discipline: the steward had permission to beat any of her children if they exhibited bad manners. At the age of six, Matilda (along with her three-year-old sister, Mary) was sent to Romsey Abbey in Hampshire, where their mother's sister was abbess. "Aunt Cristina" dressed the girls in the heavy black clothing of nuns and beat them regularly to remind them that they were sinful. 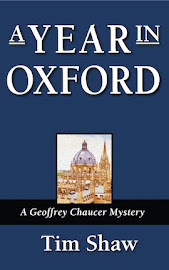 Several years later, they were sent by their mother's instructions to Wilton Abbey in Wiltshire for further education, saving them from their aunt. Instruction included more than catechism: Matilda knew English, French and Latin, and was able to read St. Augustine and the Bible. In 1100, Henry I's wish to marry her created a controversy. Was she a nun and ineligible for marriage? Henry wasn't sure, so he turned to the Archbishop of Canterbury, Anselm of Bec (c.1033-1109). Anselm, recently returned to England after a long time away, shied away from making that decision—although he was a brilliant theologian, he was possibly torn between betraying the Church and annoying a King—and called a council of bishops to debate the matter. Matilda herself testified that she was never meant to be a nun, that her parents only sent her to abbeys because they wished her to be educated, and that she hated the nun's life and tore off the veil whenever she was out of sight of Abbess Cristina. The council concluded that Matilda was never supposed to be a nun after all, and gave permission for the marriage.